Whenever we ask people “what” they’re preparing for, the responses tend to be the scarier things. Natural disasters like hurricanes, wildfires, earthquakes, tornadoes. Acts of war or terror. Complete economic collapse. Preparing for these things certainly makes them scarier. Our preparedness advisors are well-versed in helping you do just that. But, do you know what’s the most-common reason that people use their emergency survival food and supplies? It’s personal hardship. This month, due to financial hardship and mismanagement by both me and my girlfriend, we were in a situation where we could have utilities or eat. Those rations came in handy! The Stroganoff was good, and so were the Potato and Cheddar soup and mac and cheese, and the Traveler's Stew reminded me of Mom's chicken soup. I just wanted to tell you that your products are excellent and saved us from having to go to a church, or burden the taxpayers because of our miscalculation, which when hit with an emergency, could have caused us a lot of worry and anxiety. Altogether, one-third of adults are either unable to pay their bills or are one modest financial setback [$400] away from financial hardship, slightly less than in 2016 (35 percent). While this is an improvement over years past as we climbed out of the 2008 recession, it’s still a huge number. More than one-third of adults. Let that sink in. We need to focus on being prepared for these situations too. It’s not just financial setbacks. You could be injured and unable to work. You could be living off-grid and have a massive crop failure. I’ve had one of these situations myself. I’m blessed in the sense that I still find it humorous. Mine happened when we had bed bugs. Yup, an infestation. I may be a tough woman, but those bed bugs...no. Just no. This led me to pack all the emergency food we needed for a long weekend in the truck. At the time it was just me, my husband and my dog. Sure, we could have forked over some more cash for a cushy hotel stay. But we weren’t made of money then and sure aren’t now. Plus, we got to practice our survival skills at camp. So what’s the best way to approach preparedness specifically for personal hardships? Well, the good news is that most of your preps for those scarier crises will come through for you in your personal time of need. Just remember to replenish your stocks when able. Many of us keep monetary savings (or other valuables in savings). It’s important to contribute to these so we have money for a “rainy day.” But keeping a second, “survival savings” with plenty of emergency food means you never have to choose between paying the bills and buying food. 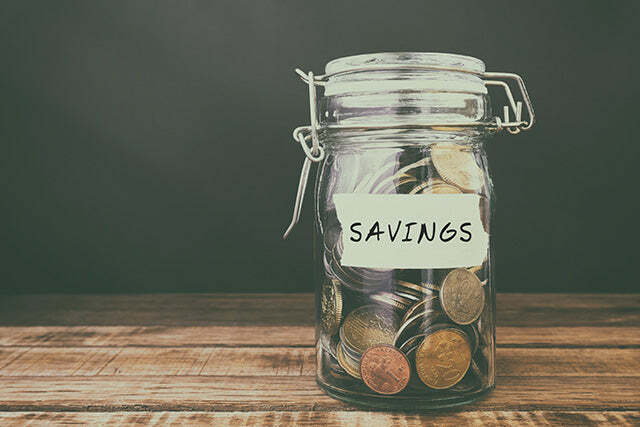 With both savings strategies in place, personal hardships can be much easier to weather. The exact opposite of a personal hardship, a “windfall,” is an unexpected blessing. Maybe you win the lottery or inherit some property. It could be as little as finding a dime on the sidewalk. Because we live in a culture that often encourages blind consumerism, we’re tempted to spend these windfalls frivolously. Don’t take these windfalls for granted. These blessings are only as valuable as we make them. Put it in savings and act like it never happened. Let me give an example from my Patriot Garden. I have a bumper crop of heirloom tomatoes this summer. If I told you I planned to gorge myself until I got sick on the extra tomatoes, you’d think I was crazy, right? Why not can them? Make jam? Dehydrate them? It sounds silly, but this is what people often do with a windfall, especially if it comes in the form of money. The point is, if you can make your windfalls last, a personal hardship will not be a hardship at all. They simply balance each other out. These are two simple “rules” I follow to help prepare my family for personal hardship. Do you have any principles or ideas you follow with this in mind? Feel free to share your ideas in the comments below. I hope you’ve found this helpful as you take the next steps in your preparedness journey. Until next time, stay alert out there, patriots!